– PlatoHow true. As I mentioned in my last post, I’ve been off to the doctors recently to discover why I’ve had a plethora of medical problems over the last few years. Some might call it age, but I think not. I believe that it’s more likely that my overall level of health has been compromised at the behest of some intrasomatic conspiracy my body is apparently conducting.Allergies, arthritis, hernias, psoriasis, Barret’s Esophagus, gum problems, sinusitis, tinnitus, ocular pressure and of course, gastrointestinal distress have all manifested themselves over the years, preventing me from attaining systemic nirvana. Lord, if I still lived in the United States, someone would have thrown the Big Golden Book of medical acronyms at me, for certain.It seems that these days, medical acronyms are omnipresent. They seem to have part and parcel of mainstream Americana(bbaseball, hot dogs, apple pie and adverts for IBS and GERD). Purchase almost any US based magazine these days and there’s no doubt you’ll find at least 2 medical related ads before the table of contents.Not sure what a medical acronym is and why you should be concerned? Here’s a definition, especially for non-Americans who wonder where all the alcohol advertisements have gone: – a woefully long litany of letters suggesting a range of medical disorders “you might have”… according to the advertisers. You see, since the American “powers that be” decided that it was culturally beneficial to thumb our collective noses at alcohol and tobacco advertising, these medical acronyms have bogarted the majority of all print-advertising space and television commercials in the United States. 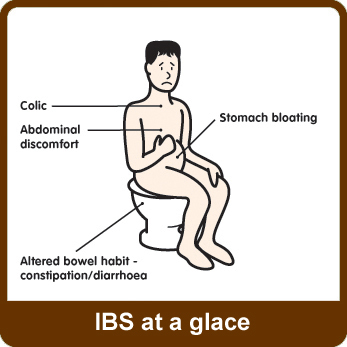 What I also find bizarre is that the proliferation and preponderance of these acronyms in advertising have made it politically correct for Americans to proudly confess they suffer from GERD and IBS, rather than from heart burn and the shits… and all in good company! If you are like me, you may not know what disorders most of these acronyms stand for, but you are sure you have them… and most likely 3 out of 4 medical practitioners would agree… or again, so says the advertisers. You are advised to rest assured, however, because regardless of the acronym you might suffer from, there is no doubt a pill or syrup for sale to treat it. All you need to do is pull out your wallet and consult your physician, and don’t forget … most drug stores are open 24 hours a day for your convenience! Why are we as a nation so eager to be victimized by marketing savvy pharmaceutical manufacturers? Why do we yearn so for psychosis of the mind , body and spirit? For years we were duped and doped by the death merchants, the tobacco industry, into shortening our collective life span. And, evenwhen we began to suspect that all that coughing, wheezing and hoarse inhaling was the result of those menthol flavored and filtered coffin nails, many feigned denial. In fact, some even became down right sanctimonious over their ‘right’ to smoke and march proudly with the Marlboro man … to meet their maker. Well, the tobacco manufacturers and their products are still around, but they have been put on a short leash and banished to the marketing dog house obviously. But what do we have to show for all this righteous indignation against an industry that brought us ad slogans such as “Slow down. Pleasure up” and “Enjoy a cooler kind of mild”? The answer is something much more darker. Rather than reveling in our new found health, we have allowed another “big business” industry to abuse us. While cigarette advertisements spoke of attaining a pleasurable life, the pharmaceutical industry admonishes us to “talk to your doctor today” and suggests any number of disorders “you might already suffer from”. We must be masochists seeking a newer and crueler sadist master to flog us. And, the pharmaceutical industry has stepped right up to the plate armed with their ominous medical acronyms. Yes, we’ve traded unscrupulous purveyors of death for brazen merchants of fear and anxiety. All in all, I guess you can say we’ve traded up, but if so, why do we all feel so sick? Ok, so we are all concerned about our health. I guess I should be thankful that the modern day equivalent of snake oil salesman have my lower back … and have a bottle of tonic to cure it of its aches and pins, too. But still, I beg to differ. I thought we we’re so smart these days. We’ve learned how to spell diarrhea (diarrhoea? ), seborrhea, and paracetamol. We know all about Pepto-Bismol, Sominex, Actifed, Tums and the wonders of Aspirin. We have learned that garlic not only wards off vampires, but many other health threats, as well. It was obvious then that the pharmaceutical industry had to up the ante for gaining more of our attention and disposable income by increasing the confusion and fear factor. And so, they rolled out their literature to fester in our minds; a parade of ads featuring acronyms and symptoms, sometimes featuring alarming illustrations. While the tobacco industry told us what a wonderful world it would be if we all smoked, the pharmaceutical industry tells us that we might have chronic incontinence, erectile dysfunction, and overactive bladders – and that life will only get worse unless we buy their products. So how is it that we’ve allowed this attack of the medical acronyms to assault our sensitivities? I imagine it’s because we’ve been desensitized by years of reading Surgeon General Warnings on cigarette packs and beer bottle labels. In fact, we regularly dismiss public health warnings of the clear and present dangers of salmonella laced packages of pre-cut lettuce and mildew encrusted bathtubs. This is our mindset today. Moreover, for many, the odd wiry pubic hair springing from an errant meatball would not give them pause to consider skipping the rest of their blue plate or early bird special. I won’t even mention the bowl of peanuts at the bar filled by unwashed urine sprinkled hands… oh, I just did. Sorry! Anyway, these are all ever present health dangers we all are familiar with, yet we go on with our daily lives because we can qualify and quantify when and where we may be at risk. But throw an acronym laced spanner into the works, such as COPD, OSA, RSD, or ED and suddenly sweaty hands begin writhing and environmental methane levels begin to rise. The pharmaceutical companies know exactly which of our panic buttons to push. They know that we know that for venereal disease there are assorted pills, creams and ointments … but for VD …well, you’re screwed. They know that acquired immune deficiency syndrome sounds pretty noxious, but AIDS is a death sentence. They know that we can deal with the common cold, swine flu, avian flu, and even mad cow disease, but mention H1N1 virus and mass hysteria ensues. In our search for the meaning of life, we would rather have answers than questions. Oprah’s Dr. Oz might suggest that if you can’t pronounce the ingredients in your food, it might better not to eat it. The pharmaceutical industry, on the other hand, inundates us daily with lurid acronyms suggesting perplexing and tremulous disorders. It is apparent that they know the one thing we don’t know … and that it’s the ‘not knowing’ that is killing us. In my next post on the Intrasomatic Conspiracy, I will delight you with intrepid tales from my hunt for the root of my inflammation… and perhaps yours, as well! PS. Thanks for reading. Do you agree that the pharmaceutical industry has transformed us into a pill popping society? Are you up on the latest medical acronyms, or do you just nod your heads and avoid eye contact in conversations like the rest of us? Let me know! I think you have found your niche….I have thoroughly enjoyed reading your article, now I am going to read number 1..